CiTR is proud to support Khatsahlano! Music & Art Festival, Vancouver’s biggest FREE outdoor music event! Now in it’s third year, this year’s festival will have 12 stages featuring over 50 of Vancouver’s best musical talents. Stages will be spread out along West 4th Avenue from Macdonald to Burrard Street, with live performances from 11AM-9PM. 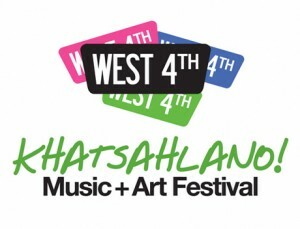 When you’re out on West 4th enjoying the sunshine and music next week, be sure to come check out the CiTR STAGE at MAPLE STREET! The stage is set to host performances by Chelsea Laing, Blind Horses, Village, Koban, War Baby, Gay Nineties and No Sinner. With such a rad musical lineup, you really don’t need any other reason to come check it out. But wait… there ARE more reasons to come to the CiTR stage! 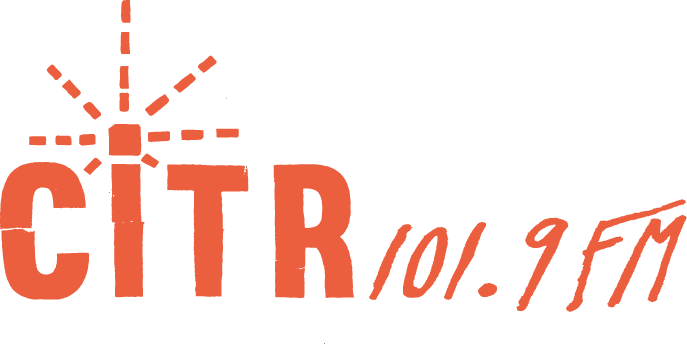 The awesome programmers, staff, and volunteers of CiTR will also be running a live broadcast at our stage during the festival. So come say hi, grab some free swag and pick up a copy of the summer issue of your favourite music magazine Discorder! To help get you hyped up for Khatsahlano! 2013, check out our videos of last year’s festival featuring interviews with Nu Sensae, and Bummer High, and live performances by High Drops and Aaron Read. You can find more videos from the festival on CiTR’s youtube channel. 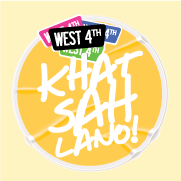 For more information about Khatsahlano Music & Arts Festival, check out their website and facebook page.